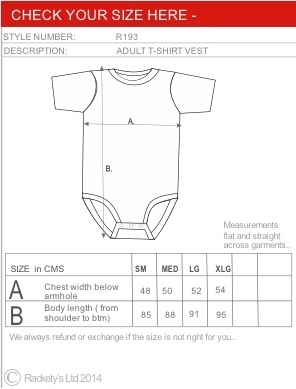 R154 ADULT Brody Long Sleeve Popper vests. Super soft cotton with stretchy elastane vests made to keep you or the person you care for warm and cosy year round but still allowing access to change a nappy or pad when you need to. They will also help to keep hands away from tugging at tubes and protect against inappropriate wandering hands. Brody long sleeved vests are smart enough to wear as a top, and look great under a t-shirts or a dress as a warm comfortable layer next to the skin. They are smart enough to wear as a top by itself or as a cosy base layer- the choice is yours! Pure soft cotton knit fabric with elastane for stretch. 3 x poppers to allow nappy changing. Washable at 40° -we do NOT recommended tumble drying.